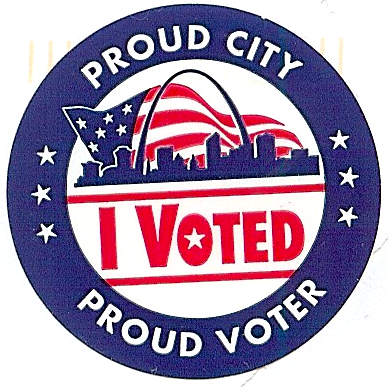 For at least a decade I’ve favored consolidating all the governments in St. Louis City & St. Louis County into one: municipalities, school districts, fire districts, water districts, etc. OK, maybe just 2-3 based purely on geography: urban vs rural. My goal has been to improve the region and the lives of everyone living here. I don’t know that everyone in the region agrees on the problem, or that a problem even exists. Still with Better Together pushing one solution, many are scrambling to find alternative solutions. 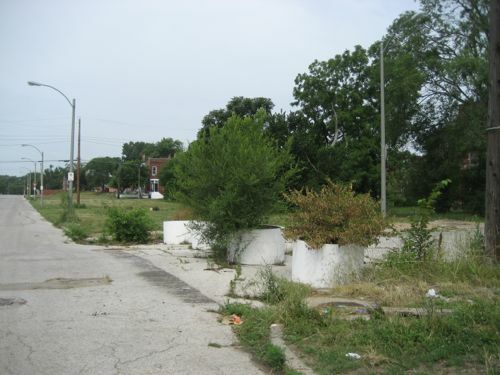 Recently St. Louis County Councilman Tom Fitch proposed St. Louis follow Detroit’s 2013 example: file bankruptcy. The Revised Statutes of Missouri (427.100) grant municipalities the power to declare bankruptcy. It’s time for Better Together and the city of St. Louis to look at this option instead of destroying the current county governance system, which is working for most of the region. Only after the city of St. Louis has reorganized its system of local governance and becomes financially viable should there be a discussion about re-entry into St. Louis County as one of its municipalities. Outgoing 24th Ald. Scott Ogilvie wrote an excellent rebuttal. Still, I think many options need to be aired, reviewed. A Chapter 9 filing immediately raises the likelihood of a credit rating downgrade and, as a result, higher future borrowing costs for the government. The damage to a municipality’s image may result in an exodus of residents or less business investment, which can hit government tax collections and make the underlying budget crisis worse. Public workers worry about slashed salaries or benefits, and all residents could see higher taxes, loss of services or deferred maintenance on necessities such as schools, roads and bridges — although those consequences can precede bankruptcy, too. 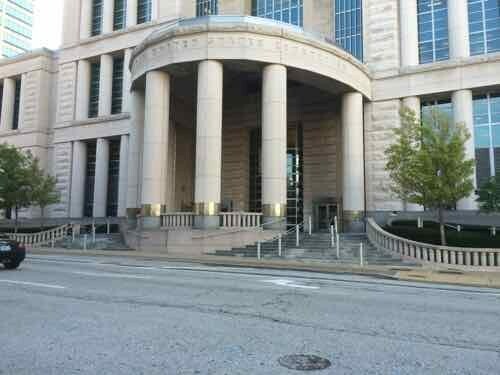 Even before Jefferson County [Alabama] declared bankruptcy this month, it had laid off more than 500 employees, closed four satellite courthouses and reduced law enforcement services. It’s important to note that cities don’t emerge from Chapter 9 debt free. Detroit filed bankruptcy in July 2013, exited in December 2014. Retirees took a big hit. It could have been far worse. At one point during the bankruptcy journey, the city’s general retirees were threatened with the possibility of seeing their pension checks slashed by up to 34 percent and police and fire retirees were looking at cuts of up to 10 percent. As Ald. Ogilvie pointed out, a lot of St. Louis retirees live in St. Louis County and elsewhere in the region. Cutting their benefits would ripple through the region. Funding pension obligations are a big issue all over the country, not just in St. Louis. Pensions are for people, they must be considered. There has been one government bankruptcy in the region, a levee district in St. Peters filed in 2014. I don’t think St. Louis is anywhere close to being desperate enough to file Chapter 9. If it did, it would pull much of the region’s reputation down with it. We need to agree on the problems facing the region and explore all options. At least personally, paper tickets have been obsolete for a while. I either print my ticket or show it on my phone. The latter is what we did last month on our round trip to/from Chicago via Amtrak. What about for local events? 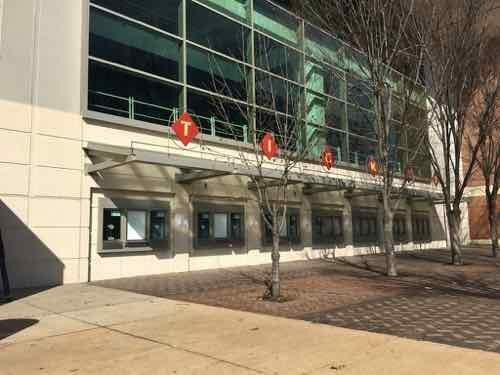 If you plan on going to a St. Louis Blues game this season, you’ll need to have a smartphone or at least an e-mail address. Tickets to the game are now completely mobile. I use a card for transit, not a paper pass, transfer, or ticket. All this change has me wondering about ticket windows. 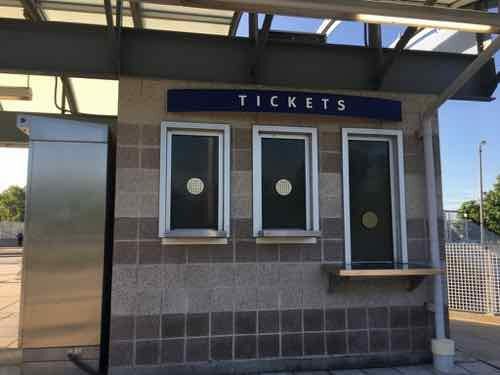 I doubt these 3 ticket windows at the Forest Park MetroLink station have ever been used. These were built in 2006 when the station changed for the Blue Line to Shrewsbury. The main ticket area is in the center of the East (Broadway) side. There are seven sections for 14 total windows, but only seven have ever been set up with transaction drawers. 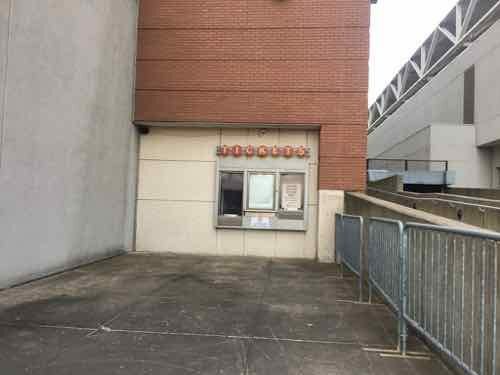 These are always closed when I pass by, not much going on that requires tickets. 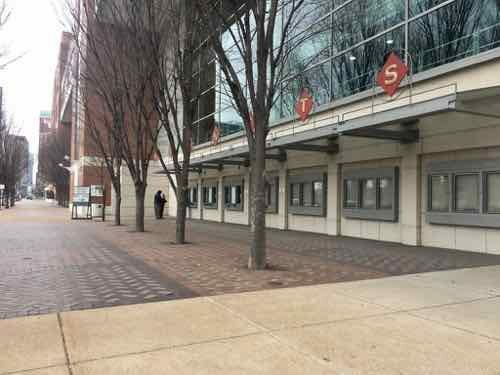 The recent UMC conference was busy, but no ticket sales. Then lsat week I saw activity at the far window. The sign for tickets/will call was rolled out. Yes, people & activity at one window. The event with physical ticket sales was the 2019 Monster Jam truck show held the last two days (March 2-3). Even they link to Ticketmaster for tickets. 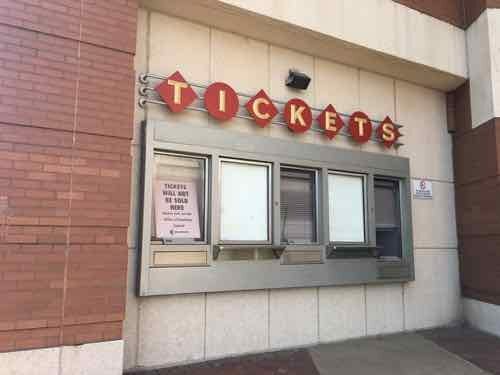 The days of the ticket window are numbered. 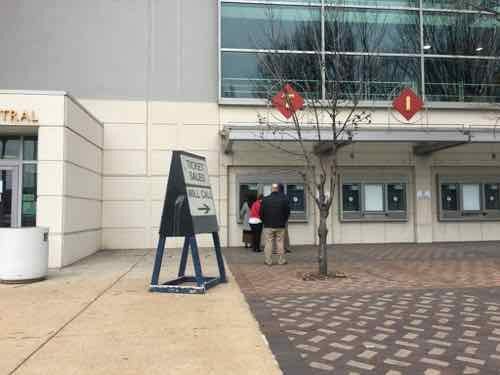 Sunday Poll: Should St. Louis File A Municipal Bankruptcy? 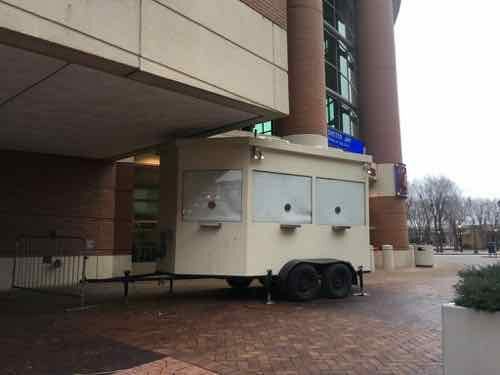 March 3, 2019 Featured, Politics/Policy, Sunday Poll Comments Off on Sunday Poll: Should St. Louis File A Municipal Bankruptcy? I’m a policy geek, I love reading about various policy solutions to problems. Yesterday I finally found a topic for today’s poll. The subject of today’s poll is municipal bankruptcy. I read articles for and against. To remain neutral I’m not going to quote from either. 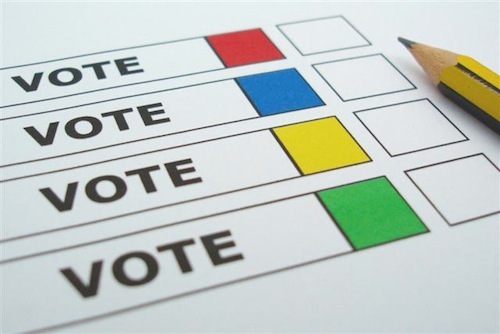 Today’s poll will close at 8pm tonight. St. Louis’ partisan primary will be held Tuesday. However, though we have a general election a month later, the Democratic primary is THE election. The even-numbered wards are electing Aldermen and the entire city is electing the President of the Board of Aldernen. In my view, this election cycle has been uglier than usual. The a accusations between candidates, bickering among supporters online, is the ugly I’m talking about. Maybe past elections were just as bad? Four years ago the turnout was less than 10%. Embarrassing, but a competitive citywide race should increase turnout. I predict turnout will be under 15% — prove me wrong! Be sure to vote Tuesday, the polls will be open 6am-7pm. Below is one such example where “Schoemehl pots”, just sections of sewer pipe, were used to limit vehicular traffic. Schoemehl pots used in their traditional role of messing up the street grid, 2012 photo. 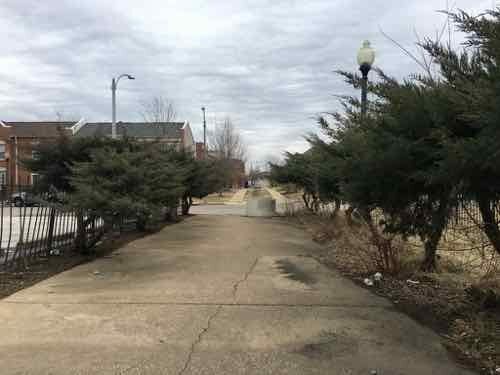 In just three decades St. Louis spent today’s equivalent of nearly a half a billion dollars on dramatic changes to the street grid. Half a billion! The reference to the “horse and buggy street system” illustrates he didn’t think it was suitable for the automobile. Bartholomew, a civil engineer by training, was no doubt influenced by the City Beautiful movement. This was soon followed by the modernists and their vision for roads to connect everything. The Futurama exhibit at the 1939 World’s Fair was hugely popular, helped shape legislation that let to destructive urban renewal projects, interstate highways slicing through cities, etc. See original 23-minute 1939 Futurama promo video. Oscar Newman was born in 1935, so he was barely around during the 1939 fair. With the Great Depression & WWII the ideas from Futurama were on hold until he was a teen. Newman likely went along with most others, not foreseeing any problems with additional alterations to the street grid. By the time republished his 1972 book urban renewal & highway projects had further disrupted the street grid beyond recognition. These changes are cumulative, not isolated. Our street grid was designed for the horse and buggy times — but that’s what made it go great. Street grids can take little changes and still function. 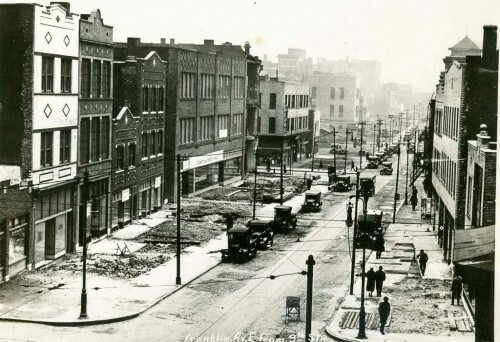 St. Louis had decades of massive overwhelming changes to the street grid. It has proven to be excessive. Abandonment, crime, etc are the results. I don’t know that it’s repairable. Q: Agree or disagree: City streets closed to through traffic reduce crime. More than half correct don’t think closed streets reduce crime.